Chapter 42 / vol 2 ch. 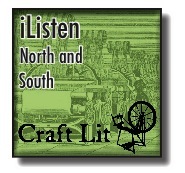 17 of North and South, by Elizabeth Gaskell, with many thanks to our reader, Barbara Edleman. Book talk begins at 16:45min. Thank you so much for voting for the first round!